Log in to your account, click on your initials in the top right corner of the screen and select Account Settings. Select Billing Information from the panel on the left. 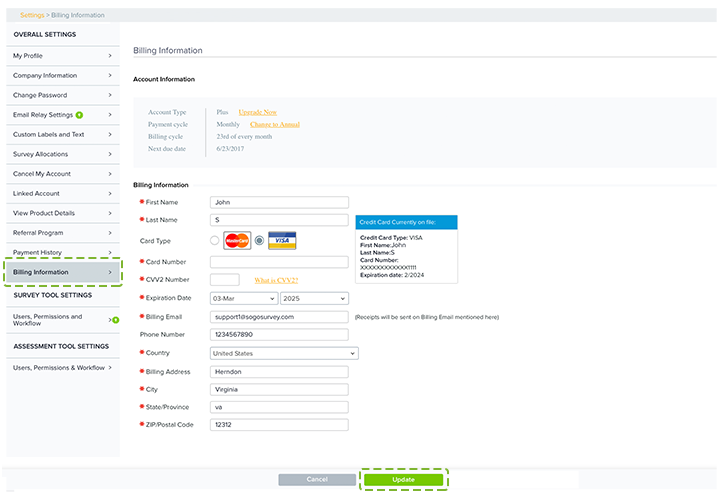 Click on the Change to Annual link to change the billing cycle. This will take you to the billing page. Enter the requested information and click Submit at the end of the page. Click Confirm on the subsequent page. Upon confirmation, your payment cycle will change to annual and you will receive a notification of the update.